We've got the perfect itinerary for the hottest winter destination. If you’ve been craving sun this winter, new pics for the ‘Gram or another stamp on your passport (Black travel abroad is a movement! ), the Caribbean island of Martinique may just have everything that you’re looking for. Nestled south of Puerto Rico, in between the islands of Dominica and St. Lucia, Martinique is a beautiful hidden gem floating in the Caribbean Sea. 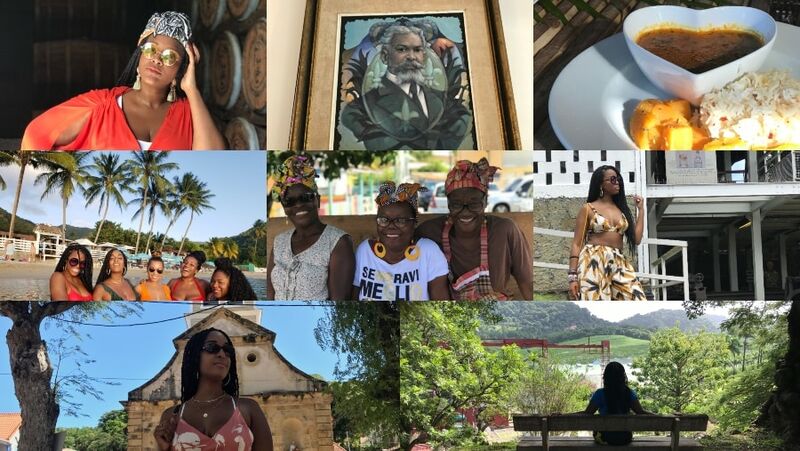 theGrio flew to Martinique via Norwegian Airlines to give you insider’s tips on how to enjoy all the island has to offer. 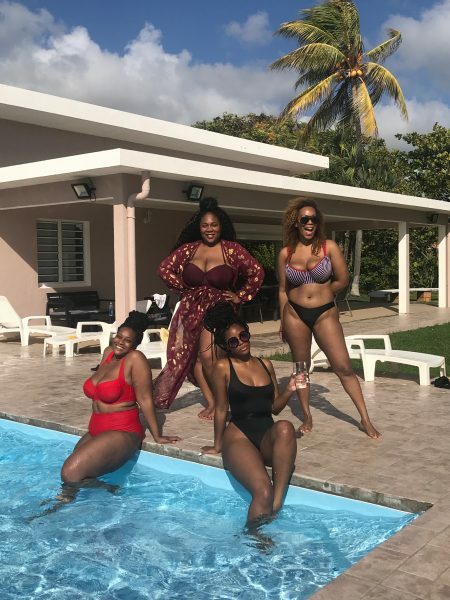 Here is your Grio-approved guide for fun, relaxation and adventure whether you plan on doing a girls getaway or a romantic vacation for you and bae. It’s rich in African culture and influence. A portrait of pride at Habitation Clement. Martinique is located in the French West Indies. 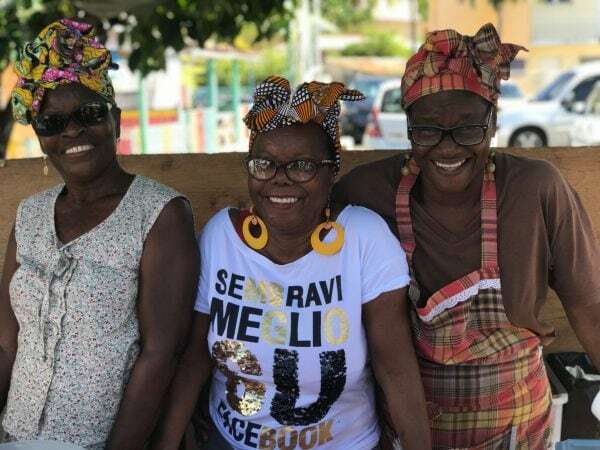 The majority of the population are of African descent with a mix of French, native indigenous and Indian ethnicities as well. Signature music such as zook, the Creole language and incredible works of art from Black creatives, are all examples of the influence of African ancestors is ever present. 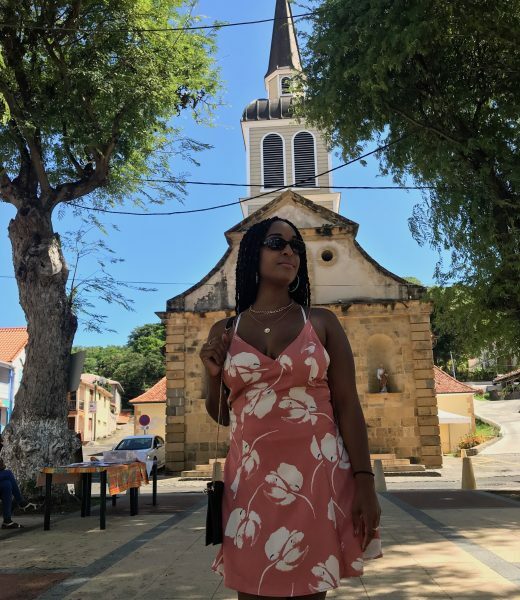 There are also monuments which honor African lives lost to the horrors of the slave trade in the region, such as the Anse Caffard Slave Memorial, a tremendous collection of statues overlooking the Atlantic Ocean. La Savane des esclaves is another powerful tribute, an open-air botanical forest which doubles as a historical museum. Featuring intricately carved wooden statues and replicas of slave living quarters, the location functions as gorgeous garden for photographs and exploration, as well as cultural education. Martinique gives you the feeling of being far away from home, without a 24-hour flight around the world. For most people who live on the East Coast, getting to Martinique is a relatively short trip. A direct flight from JFK Airport on Norwegian Airlines to Martinique’s main airport Fort-de-France is only four and a half hours, and cost about $250 (Yes! Even in the dead of winter). The airport is small and easy to navigate, with only a few baggage claims to worry about. We took a quick swim after lunch, right in the back of Ti Sable Restaurant. 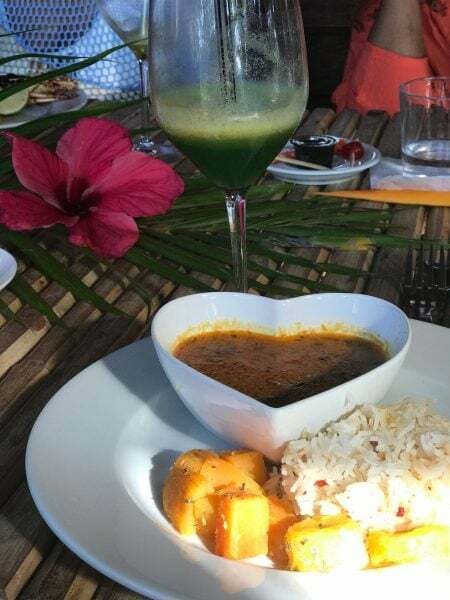 On a trip to Eden Paradise Creole, a spa in Sainte Luce, while having lunch we were able to overlook mountains and valleys, followed by back massages. At Ti Sable restaurant, the beach is connected to the the eating area, where visitors can snack on akkra (a tasty fried cod ball) then head to the boardwalk to catch sun and waves. The beaches are postcard worthy with waters that are deep blue and surrounded by plush green trees with mountains jutting out in the background. Getting your best selfie for Instagram is easy to do because with all that sun you need no other equipment but your cell phone. Our Homeaway Villa pool was perfect. We stayed at a Homeaway Villa rental right on the ocean, which like many other seaside homes on the island offered stunning views. Villas are great for groups because you can do community activities like cooking breakfast, working out or chilling by the pool together, with a certain level of privacy and homey comfort. The tradeoff is that you won’t be able to just walk around and grab things at the store or make quick errands. We needed a driver and a planned pick up time each day. Choose wisely whether a resort atmosphere or home-style vibe is what you’re going for. Visiting the picturesque town of Sainte-Anne. 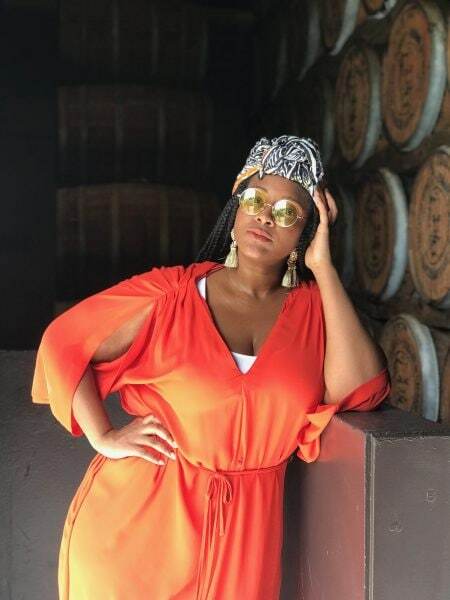 Habitation Clement (Le Francois, Martinique)– This stately and sprawling rum factory is perfect for memorable pics with warehouse decor and getting some exercise as you tour the grounds. The delicious smell of the signature liquor follows you everywhere you go. Come ready to sample every kind of rum you can imagine at the end of your tour (our favorite was the creamy coconut liquor), which you can purchase as gifts to bring home. There’s also a special art gallery of works by Black artists, as well as portraits which teach you about elements of French West Indian history. 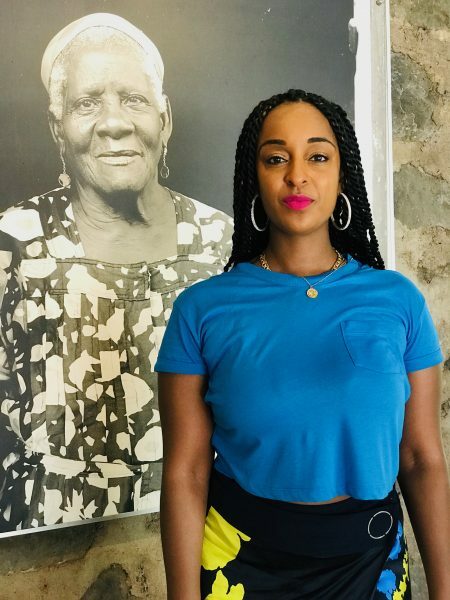 Sainte-Anne- In Sainte-Anne, you’ll meet friendly locals and see towering portraits of famous Black leaders and historical figures. The town square features a classic Catholic Church, with little shops to purchase souvenirs, as well as fresh and tasty Creole food cooked on the spot. Les Salines Beach- It’s simply gorgeous.space“> With the white sand, deep blue water and genuine peace and quiet, we could’ve spent hours out here. It makes for a perfect afternoon relaxation visit right after touring Sainte-Anne. Ma Cuisine- Ma Cuisine was hands down one of the best meals we had in Martinique. The owner Priscilla is a dream, who is super warm and puts her heart and soul into the food preparation (her mother actually helps prepare food right along with her too). If you book Ma Cuisine, you can get a detailed explanation of the food’s history, along with a rum tasting at La Mauny, another local rum distillery. Le Zanzibar- Le Zanzibar has excellent food, wine and cocktail offerings. Entrees include duck burgers, lobster, and cod fish, all of which were delicious. The open air venue is classy and has a great vibe and decor, right across from the beach. Definitely go here for date night. Bring a French language book or translator. People in Martinique speak French and Creole so unless you’ve hired a translator, do yourself a favor and bring a French guide. Plus, it’s also a great excuse to take those language classes you bought on Groupon and still haven’t used! Buy a European electrical adapter. It can be a headache not having adapters for your cellphones or laptops, when you’re thousands of miles from home. Buy an adapter for your charger so you can have peace of mind. How are else will you get the shot to hashtag #livingmybestlife, if your phone is dying every five minutes! Pack a variety of clothing. Martinique is primarily hot and has lots of sun but if you are close to the ocean, it can get a little chilly at night. Be prepared and bring a light jacket or sweater in case you want to go for an evening walk or catch the sea-breeze. Your U.S. dollar won’t go far, because in Martinique Euros are the name of the game. Be prepared and call your bank ahead of time about the trip to ensure that there won’t be a problem with your debit or credit cards. Nevertheless it’s always good to have cash on hand for emergencies or smaller gift shops/food stands that may not be equipped for cards. You’ll need taxis or know how to drive on winding roads. Though driving in Martinique is on the right side of the road, there are winding roads, steep hills and plenty of roundabouts. Be smart and hire a driver from a reputable company for your stay or use taxis with drivers that are familiar with the landscape. It will allow you the ability to relax, drink safely and simply enjoy the beautiful views.